Good Evening. I’m Lorraine. I moonlight on weekend nights at a world-famous restaurant and piano bar that is found on the corner of St. Peter Street in New Orleans. It is a heady, two-centuries-old location, surrounded by ivy-covered brick walls with fountains kissed in patina of verdigris oxidation. Verdant fronds of fern drape lazily year-round over cast ironwork. Intricate, black lace designs twirl abundantly, dressing the galleries and gateways here and all over the French Quarter with elegance rarely seen in modern day construction. At this little meeting and eating house amidst tourist bombardment, I have determinedly shared my talents and heartbreak, laughter and tears by taking song requests from others for what seems like a hundred years. Pungent gaslights flicker overhead as endless stories and scandalous rumors continue to be born here in this very courtyard. My favorite in-house tale is the true retelling about my fellow showman friend Eddie, another musician who worked and played here for over 67 years. Gumption hitched a ride in Eddie’s back pocket on the day he entered this bar, sat down and began to play at the corner piano. He was hired just a few hours later when the boss man saw him pick up a tray and begin to clear tables, all on his own merit. Eddie needed a job. So, impressing the owner with his ingenuity, Eddie was hired, and he played music and filled in when the help was scarce on late nights for almost 7 decades, until he drowned in the flooding of Katrina at the age of 95. I felt a close kinship to him and befriended his gentle spirit. I miss Eddie and his quick wit when we together played piano duets. His perseverance still encourages me to carry on when the noise and vulgarity of entertainment in a riverboat city overloads my gentle music- loving heart. Over the many years, I have seen all types of folks walk through the red-bricked archway of this establishment for dinner or drinks. Always around are the raucous college party-kids, attracted to the larger-than-life Hurricane rum drinks. These juveniles with cash who push and shove their way in to sit near the flaming fountain possess large amounts of laughter and little good sense. When only pirated rum was plentiful in the time of Prohibition, our establishment made a living serving this same unique passion fruit cocktail, in single servings. Now it can be bought in an obnoxious oversized Hurricane glass that comes with a multitude of straws and mixed with 2 bottles of rum. These good-time kids would find a better spot for their “getting-plastered” intentions over at the Apple Barrel Bar on Frenchman Street with its cheap drinks and loud bands rather than hanging here in this laid-back piano bar. More about finding an eating place that fulfills their desire for New Orleans cuisine but still able to supply the kids with burgers, are the “tourist” families, who’ve come out with their small kiddos after inhaling the online reviews on Trip Advisor before their arrival. They want everything to be conveniently located to the “must-see” attractions so they can hurry and get back to their hotels and put the kids to bed. Of course, locals have always been the ones drawn here time and time again throughout the years by the sweet sassafras aroma of Gumbo simmering in our back kitchen which always fills the courtyard, and its beckoning siren aroma filters out into the street with whiffs of shrimp, chicken, and the sautéed holy trinity. Despite this heaven in a pot, and endless over-the-top hospitality that has been afforded to regulars in recent years, the locals have sadly trickled away as the growing tourist business has overpowered the sumptuous leather hunter green booths and chairs that line our dining rooms. These long-timers live amidst great controversy as wealthy outsiders slither in to gentrify the French Quarter, they annihilate the old while insisting on bringing in the new. Like oil in the gulf stream, the two just don’t mix. Locals despise this gentrification and loss of the music and culture as well as raised exorbitant rents. Thankfully, some of the locals are just creatures of habit, despite their legitimate gripes and thus, a few regulars continue to support us at the bar. Simply put, they ignore the out-oftowners as much as they can but certainly not their money. This is where I come in. Tickling the eighty-eights each Saturday and Sunday evening, I take requests and play from 9 pm until 2 am for the generous tips that grow in a brandy snifter atop my made-here-in-New-Orleans Werlein piano. Over time, it has become a game with me to guess by appearances only who I think will request a certain kind of song. Believe me, my repertoire includes hits from Fats, Professor Longhair, Irma Thomas then makes its way through Buddy Bolden, Jellyroll Morton, Louis Armstrong, and further through the years to Allen Toussaint, Dee Dee Bridgewater, Dr. John, the Meters, and brother Aaron Neville. Occasionally, I even share the mike with Grandpa Elliot on rare nights when he is up for a song or two. When it comes to sizing up people and their song requests, I am a good guesser. So, I was not at all surprised about a month ago, (it was Epiphany night, January 6, the official end of the Christmas season, the night that kicks off Carnival Season in New Orleans), when a tall, mysterious man wearing a sumptuous cobalt blue suit and ornate feathered mask proceeded to make himself comfortable at the bar right next to my piano. That night, (and every other Sunday leading up to Mardi Gras), he always sat beside me and ordered a Sazerac. His credit card told me that his name was Remy Mikhael. From first appearances, he looked like a jazz man to me, so I waited for him to request a song which reflected his persona. But no. This time I didn’t win at my own internal guessing game. Remy brought with him quite the veiled illusion. Even after he had removed the mask and laid it atop the bar, he maintained an intriguing otherworldly aura. Each time he visited me, he wanted one song, one drink. Tonight, he had arrived 10 minutes before closing time. I had recently severely sprained my left ankle as I took a harsh twist on the winding back staircase that leads upstairs to a sumptuous lady’s lounge. Being so richly appointed, I love to spend quite a bit of time there in between sets. Unfortunately, the twist to my foot had me bandaged on this evening and I was gingerly using my awkward right foot as I pumped the pedal beneath my instrument. After settling in after his subtle arrival, Remy spoke up in his powerful but quiet voice, “play me something,12-bar, please play “Dead Man’s Blues”, chere? He had requested this song, and ONLY this song every Sunday night for the past 4 weeks. I thought it was a bit strange that he always asked for the same tune but, whatever…he was a good tipper. As I wound down the final arpeggios from an old Beatles tune, I changed my tempo and demeanor as I completely altered the mood of the bar with the first few somber notes. He closed his eyes and reached for his glass, and took a comforting sip of his nightcap, seeming to be reminiscing as the song unfolded. I did my best to please him with my musical rendition. Across the bar from me, on this cold February night, Remy had a secret plan. New Orleans is a dark city, with its pungent nuances, unique culture and unsolved mysteries. People come here to lose themselves or lose their past. There are hidden doors, secret rooms, and forever unsolved sinister crimes with no clues on each and every corner. Sinners and Saints abide side by side. And, of course, I hear these stories as I nightly sit behind my piano in this rowdy river town, tales that give my arms gooseflesh shivers as I later recall them while walking cautiously to my own rooms in the early dawn hours after work. My set tonight ended with Remy’s chosen mournful tune, and so I bid he and 2 other late-night patrons a good evening. I watched him as he tossed a $20 bill into my tip jar. “Thank you, kind sir”, I acknowledged his appreciation. He rose from his bar stool, leaving his feathered mask behind, as I emptied the brandy snifter’s contents into my across-the-shoulder bag. I began to hobble walk on my damaged foot back through the restaurant section, towards the exit of our bar on St. Peter Street, saying goodnight to the few co-workers who remained. “Catch you next week”, I said to Jerry, who maintained the inner courtyard bar. He was drying and putting away glasses. “G’night, Lorraine,” he answered. It was then I realized that Remy was right behind me, a dark shadow in mimic of every step I took. “Sweet Lorraine, please let me offer you a gentleman’s arm as you head home. New Orleans is not the place for a beautiful woman such as yourself to be walking alone so late at night, please allow me to protect you”. Remy’s polite offer rolled off his charismatic tongue. I hesitated, for I didn’t know anything of this man, other than his peculiar taste in music, but he was dressed so nicely, and had such genteel manners that I thought, well, what could it hurt? I don’t want to be rude. I was not picking up on negative vibes about this man, so I replied, “Thank you, Remy, I appreciate your kindness.” With a glance down towards my injured foot, I acquiesced, “I AM moving a bit more slowly these days”. We began to stroll together towards my upstairs apartment that was just a bit further than a block away. It was two nights before Mardi Gras so it was no surprise when a small group of costumed revelers, still out and about, (probably also heading home themselves), passed us by on the opposite side of the street. We arrived in front of my home in just a few minutes, when Remy spoke. “Are you familiar with Voodoo, Child?”, his unexpected question made me giggle. “No, chere. I am referring to the religion brought here to your fair city with the slaves hundreds of years ago from Haiti” he explained. “Well, no, not really. I have read a few things about how Lwa (pronounced Low-ah) represent Catholic Saints. The correlation to Catholic saints was the way the Voodoo religion here in New Orleans was acknowledged, presented publicly, with each saint representing an ancient Lwa before the average citizen, with none being the wiser. Practitioners could display, for example, a statue of the Blessed Virgin Mary, when all the while possessing actual intentions that the revered figure represented Erzulie. I have read a couple of books”, I said, and “I went to the Voodoo museum with some friends a while back but no, I can’t say that I really am all that knowledgeable when it comes to Voodoo”. It was a strange conversation to hold at 2:30 in the morning down on St. Peter Street and I was tired and ready to say goodnight. “I can see you are exhausted, Lorraine Laurent”, he continued with an eerie understanding in his voice. How does he know my last name? I frantically searched my silent brain to figure out where he could have learned this information. As a single woman, it was something I rarely revealed to anyone. “Yes, I am”, was my curt reply as I turned the key into the cast iron door lock. I suddenly felt a need to free myself from Remy and this suddenly chilling night. “What? No!! !” You are not! Stop this now! You are Remy Mikhael! Please do not speak to me this way, I can’t be dead!! 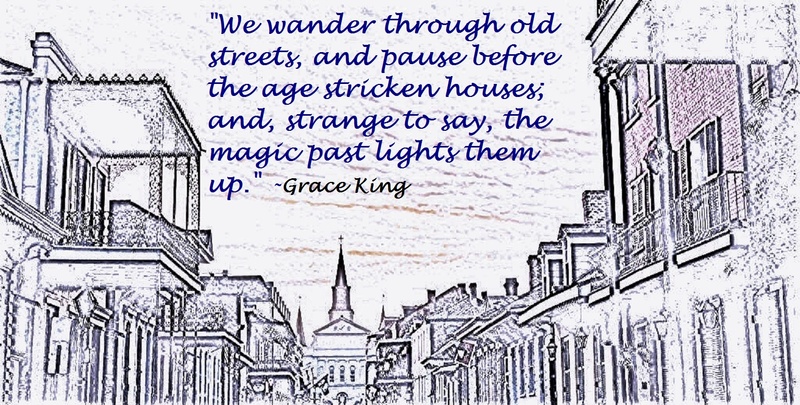 !,” I shivered beneath the light of a gas street lamp as it flickered in the dark, foggy night. “Hush, child, and try to remember. You died suddenly without warning, it was 1926 when a fire brigade wagon ran you over in this very street on a night just like this one as you returned home from your performance at the piano bar. Your leg was severely cut, an artery was sliced, and your ankle was crushed. I held you in my arms as you stopped breathing. I am only sorry that I could not prevent this tragedy, but it was, as they say, it was your destiny. And this I could not change. And now, please recognize for once and for all that I have come to take you home, Lorraine, your true spiritual home, not this weekly farce of a life that you have chosen to relive, over and over. Let me guide you.”, he spoke firmly. “Get away from me, Remy Mikhael! I don’t know you, I won’t go with you!”, I practically shouted as I looked left and right for rescue. No one was near now, no one celebrating Mardi Gras came to my aid. What could I do? I felt trapped, I felt betrayed. I just didn’t understand. But it was then that I saw for the first time ever great silver wings manifest behind his cobalt blue suit. From out of nowhere, there appeared a mighty sword in his hand and I immediately knew fear like I had never known, because he was…. he was…Mikhael. Oh, my god. Archangel Michael. In the world of Voodoo I knew that he is also called Agarou. He had visited me for weeks at the bar, making friends with me, having a drink, allowing me to gain some semblance of trust. Why had he delivered such a strange request at a piano bar. My piano bar? It must be that he came for this one final moment, for me, to at last bring me home, to let me know…I am no longer alive, and I am no longer destined to play away, consuming endless hours and endless years without rest. This time, somehow different than ever before, held me captive. I whispered inwardly to myself. 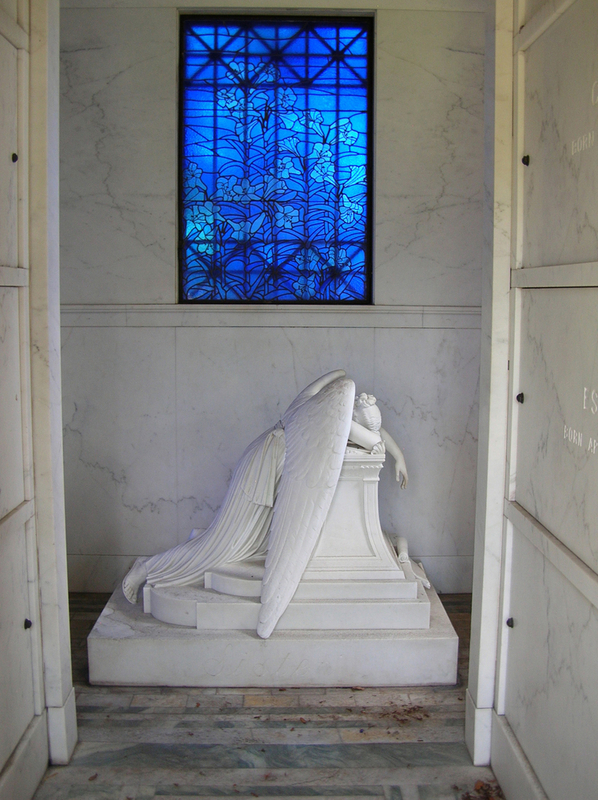 “I hear you, Remy, Michael, my fierce warrior guardian angel” …. For I am done now, with Remy’s final request, his very strange request. He had asked one final time for me to play and to finally truly hear… the Dead Man Blues. Stay tuned for more short stories from writers you need to know! From the #1 Best-Selling Horror Anthology, Dark Visions, comes Excavation Murder from award-winning author, Victoria Clapton! Get Your Copy Of Dark Visions Now! 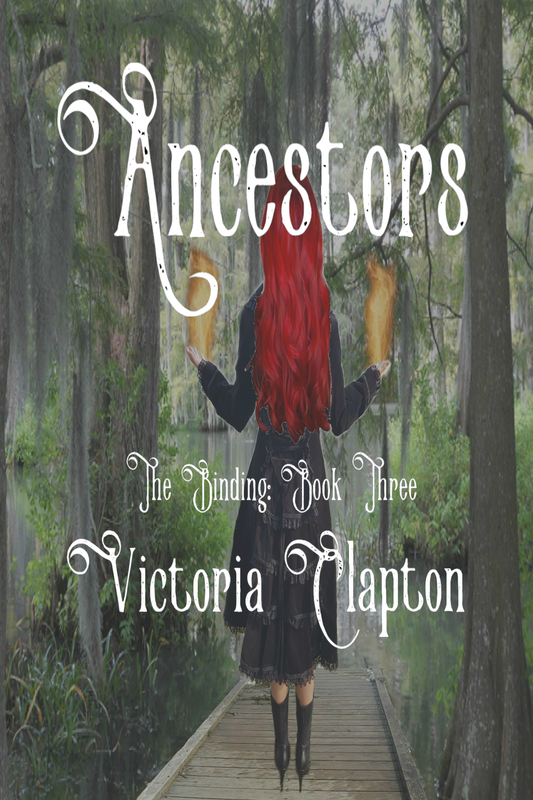 If you liked Excavation Murder, you’ll love Victoria’s Clapton’s work! I am a huge fan of The Binding Series! 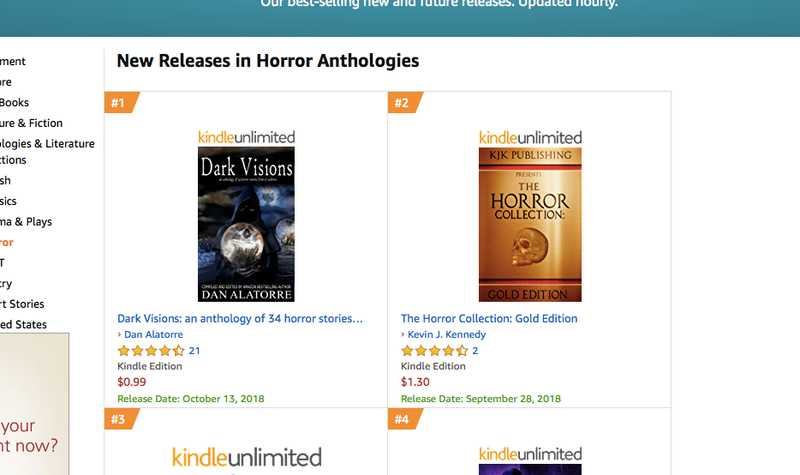 From the creators of the #1 bestseller The Box Under The Bed horror anthology comes Dark Visions, 34 horror stories from 27 authors. Tag along on a con man’s New Orleans vacation where he gets more than he bargained for from a mysterious voodoo shop. A collection of family photos reveals an eerie secret about a beloved grandmother’s true nature. A child’s horrifying memories haunt her into adulthood. 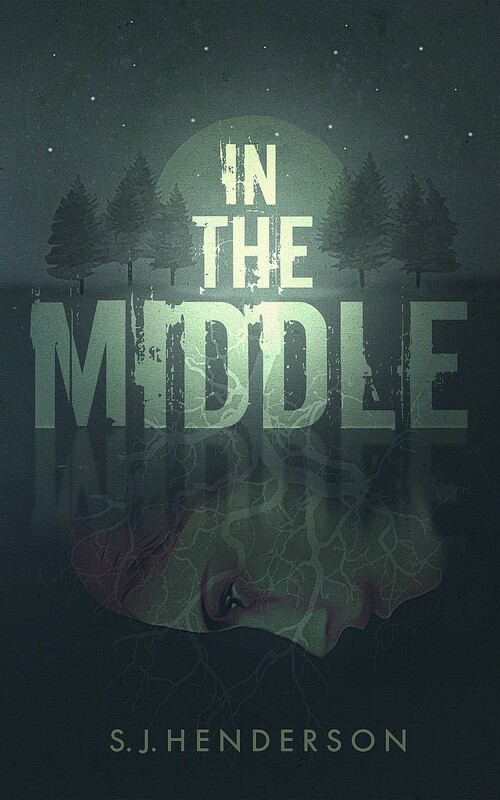 A new camp counselor learns that the camp has secrets she might not live to reveal. Edited and compiled by Amazon bestselling author Dan Alatorre, this anthology of horror brings together the minds and pens of more than two dozen amazing authors. Dark Visions will take you into the realm of the eerie and macabre, with thrills and chills! This is, by far, my favorite piece of the Monsters & Angels release day fun!! Girl moves to new town. Girl meets Mr. Tall, Dark, and Handsome. That’s how the story goes, right? Except this is Lucy. The same Lucy whose stellar driving skills single-handedly wiped out both of her parents, leaving her with nothing but the suitcase in her hand and the screws in her skull. Not to mention that Mr. Tall, Dark, and Handsome—AKA Oliver—is just as annoyingly bossy as he is hot. According to Oliver, Lucy’s not safe in her new hometown, but he refuses to say why. He just gives her some lame warning about not going out after dark, like that’ll stop her. 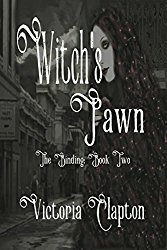 When several townspeople vanish, the lethargic community springs to life, fearful of the danger lurking among them. The problem is that Lucy’s the last person to have seen any of the missing. Doesn’t exactly qualify her for the Neighbor of the Year Award. Lucy’s already given up on Happily Ever After, but now she has two choices left: find out what’s happening in her new home, or become the next victim. “Do you trust me?” he asks. He’s closer to me. “Not really. We’ve got to get you back to the mansion before . . .” His voice trails off. I want to slug him in the arm for being spooky again, but I’d have to find his arm first. “Sorry,” he fires back, his mouth too close to my ear. I want nothing more than for the strength in my legs to return so I can get away from him and his nerve, but Oliver is in control now and holds me pressed unnecessarily tightly to his body. Turning my head from him is my only means of escape. I’d shown him, all right. With a little more energy than necessary, he heaves me up into the blackness. My bottom connects to something soft yet solid—Jasper’s back—and pain spikes down my spine. I gasp as my body starts to curl in on itself. “The only people I’ve ever trusted are dead,” I shoot down to him as I claw around for something, anything, to keep me from falling on my face. Oliver snorts, which sends me over the edge. A rumble beyond us, where the orchard fades into the rest of the forest, interrupts his plea. Even though I sit astride stoic Jasper, I can feel the ground vibrating beneath us. “What in the—?” I cry, whipping my head in the direction of the growing commotion. “Slide back,” Oliver commands. I know better than to take offense at his bossy tone. I’d made a big mistake, one he’d been trying to protect me from. The fear of horses leaves my body, only to be replaced by the fear of the unknown. Ignoring the bite of pain in my hip, I throw my leg over Jasper’s withers and shove myself backward, using my palms for leverage. A second later, Oliver sweeps himself upward and in front of me on his horse’s back. “Hold on,” he yells over the thunder moving our direction. J. Henderson is the founder of theKid Authors Project, as well as a published author of the DANIEL THE DRAW-ER series. Now that she’s published IN THE MIDDLE, she’ll start working on the next big thing. 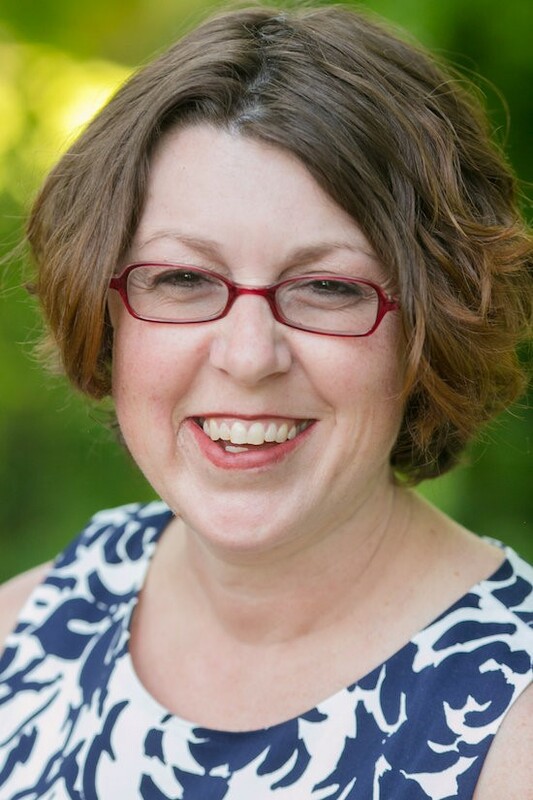 J. lives on a farm with her husband, four boys, two dogs, and cat. When she’s not writing, you can usually find her riding one of her family’s three horses. She loves to sing and is slowly learning to play the ukulele. So Anne Marie, tell me about Monsters and Angels in one sentence. Even thousands of miles away, hints bombard the senses, every minute of every day. The burst of fresh coffee’s aroma, and the knowledge that it won’t be perfect. A wall of air so steamy, it’s worn like soggy paper. Silent fog, swirling, devouring all in its path without remorse. Snippets of jazz, riding on a veiled wind. The fleeting whiff of a long forgotten candle. Whispers of spirits hidden in the midnight rain. In her sultry voice, New Orleans is always calling us home.